Wherever and whenever you plant a garden, you have to expect some “plants out of place” or weeds to follow. Before you rip them out, remember weeds aren’t always just nuisances. 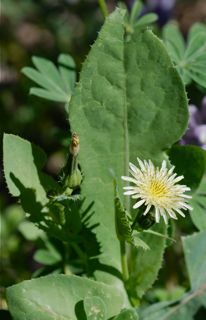 Spend some time getting to know weeds and you might find they have something to offer. One of the first things young children need to learn when they grow a garden is how to identify the various vegetables, flowers and weeds. I’m sure we all have heard family stories about the time the beets got weeded out and the dandelions were left behind. Identifying tiny seedlings is no mean feat, and so learning to observe and identify plant characteristics is key. Start pointing out things like leaf color, shape, the presence of hairs on the stems, etc. Did you know the name for dandelion comes from “teeth of the lion” and refers to the jagged teeth on the leaf margin? 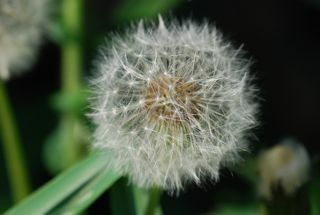 A simple fact like that might help a child remember what a dandelion looks like. Let some of the weeds go to flower so you can see what the entire plant cycle looks like. (Try not to let it spread seeds though). Save some samples of plants from the garden by pressing them. A leaf press is a useful piece of equipment for studying plants, and also for pressing flowers for crafts. An old telephone book can be a handy substitute if you don’t have a press, or check the Texas Junior Naturalists How to Make a Plant Press. Identify the plants you find by looking in plant books or online for identification guides. Don’t be afraid to ask for expert help. Many counties have Master Gardener programs. The Master Gardeners are volunteers who help answer gardening questions for the public. 2. How do weeds measure up to vegetables and flowers? Compare growth rates of various plants, including weeds by measuring the height of the plants at weekly intervals with a yardstick or tape measure. Take pictures. How many inches does the weed grow versus the garden plant? Which one emerges from the ground first? Which one is ready to flower first? Do you think the weeds might shade the vegetables or compete with them for food and water? Why or why not? 3. Are weeds useful at all? A weed is basically a plant out of place. If it was growing somewhere besides your garden, it might have some uses. How might a weed be useful? I think most people have heard of eating dandelion greens. In fact, I saw some dandelion greens at the store the other day for $4.99 a pound. What about garlic mustard? The Brooklyn Botanical Garden has this article Garlic Mustard—A Palatable Pest about how to identify the weed and suggestions for preparing it. My maternal grandmother studied botany. She often ate plants others considered to be weeds, because she knew how to accurately identify plants and knew which ones were edible at which stages. Just remember, certain weeds are poisonous, so learn from an expert before trying to eat anything new. Notice whether any wildlife in the area feeds on the plants your think of as weeds. My dad was going to mow a patch of common milkweeds last summer but I showed him how insects feed on the leaves. I heard reports that later in the summer he was proudly showing the neighbors all the beautiful butterflies visiting “his” milkweed patch. As long as they aren’t introduced/invasive species, many so-called weeds are really wildflowers in disguise.